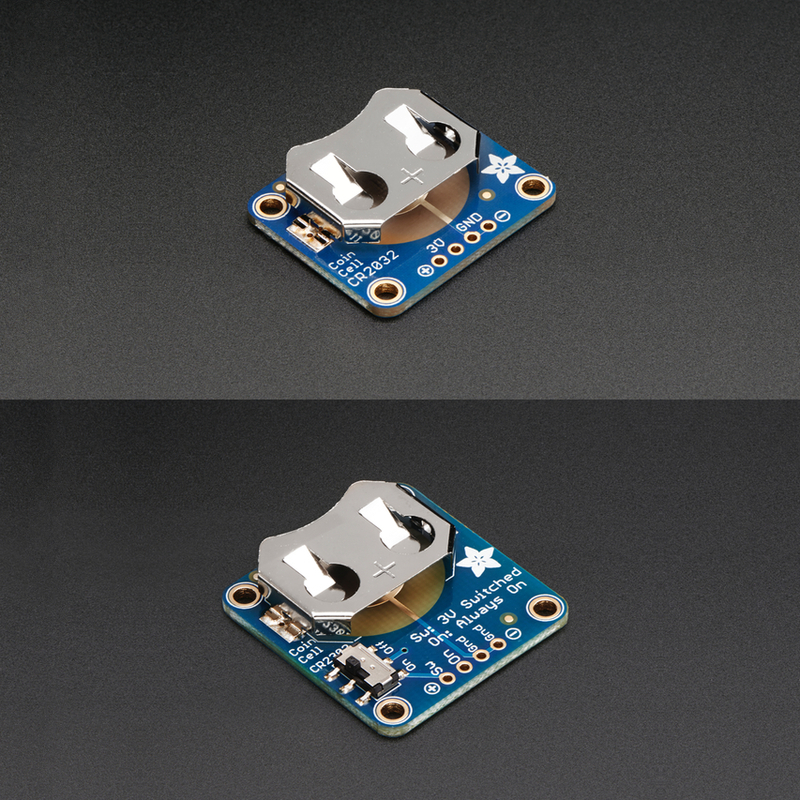 NEW PRODUCTS – 20mm Coin Cell Breakout w/On-Off Switch (CR2032) / 20mm Coin Cell Breakout Board (CR2032) « Adafruit Industries – Makers, hackers, artists, designers and engineers! 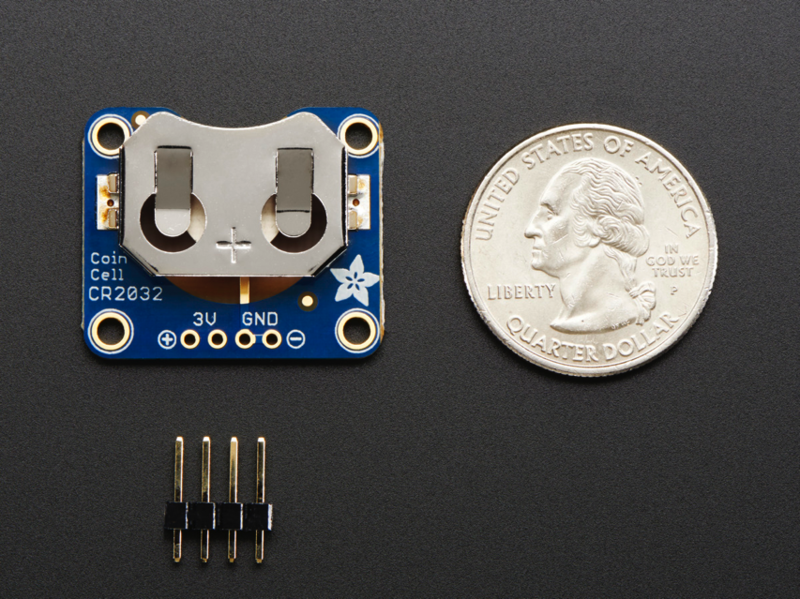 Simple but effective – this breakout board has a CR2032 coin cell battery holder soldered on, an on/off switch and 0.1″ pitch breakout pins for easy connecting. Great for powering very low-current projects, or adding a battery backup circuit to a real-time-clock or similar. There’s two ground pins, one ‘switched’ power pin, and one pin that is always on. Simple but effective – this breakout board has a CR2032 coin cell battery holder soldered on and 0.1″ pitch breakout pins for easy connecting. 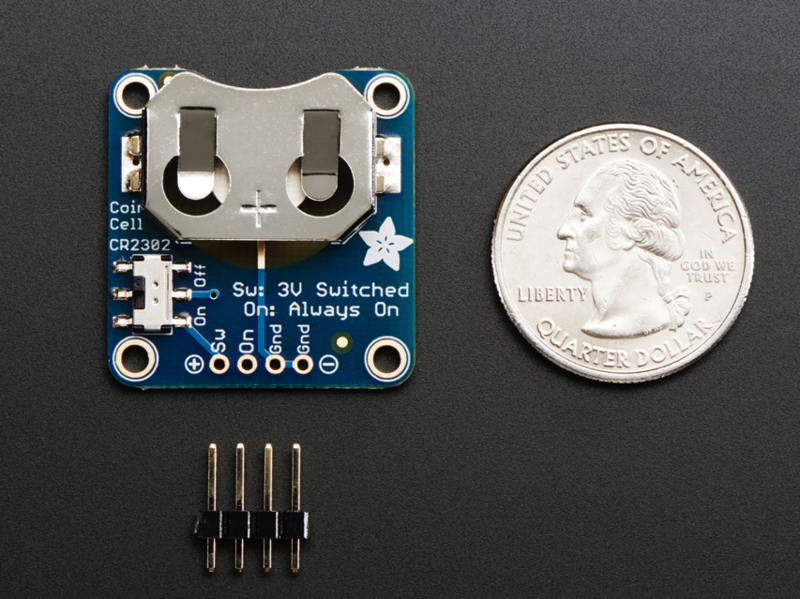 Great for powering very low-current projects, or adding a battery backup circuit to a real-time-clock or similar.